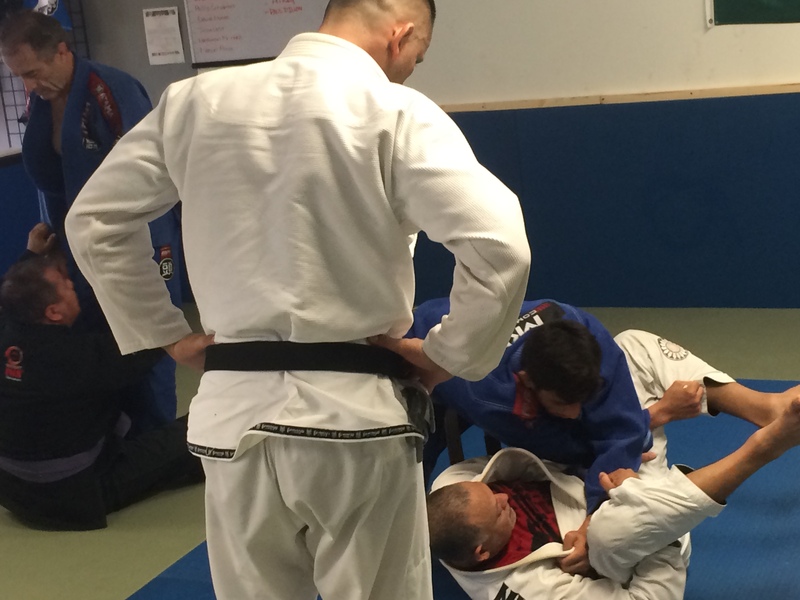 Teixeira Garcia Jiu-Jitsu Academy – Building the Champion in You! Interested in learning the self-defense art of Brazilian Jiu-Jitsu (BJJ), No-Gi Jiu-Jitsu (Submission Grappling), Judo, Wrestling or Mixed Martial Arts (MMA) in the San Gabriel Valley? The Teixeira Garcia Jiu-Jitsu Academy welcomes all persons regardless of their level (from new beginners to seasoned professionals), physical health, age or gender. Absolutely no experience is necessary to get started! The Teixeira Garcia Jiu-Jitsu Academy is known for specializing in self-defense training and physical conditioning through practicing the arts of Brazilian Jiu-Jitsu (BJJ), No-Gi Jiu-Jitsu (Submission Grappling), Judo, Wrestling or Mixed Martial Arts (MMA). It is conveniently located in the San Gabriel Valley within the city of West Covina. The Teixeira Garcia Jiu-Jitsu Academy trains students in a variety of martial arts, including Brazilian Jiu-Jitsu (BJJ), No-Gi Jiu-Jitsu (Submission Grappling), Judo, Wrestling or Mixed Martial Arts (MMA). Upon entering the Teixeira Garcia Jiu-Jitsu Academy, each student is made to feel comfortable and at home; the school is a place with great energy and a friendly, supportive staff. It is clean and well maintained; it offers a progress-oriented growing environment that allows students to have a challenging, inspirational and warm learning and training experience that makes them feel like coming back. Students are taught in a way that allows them to take the information they learn in classes and directly apply the essence of the lessons to their daily activities to better improve themselves by being more healthy and physically active. Whatever their level (the Teixeira Garcia Jiu-Jitsu Academy has a mix of new beginners to seasoned professionals), physical health, age or gender, students of the school are shown the path to betterment in themselves. Once a part of the Teixeira Garcia Jiu-Jitsu Academy, students often times feel tied together not just through the sport and training, but also through the philosophy they learn about the art of the martial arts. And, for those students who decide to compete competitively, The Teixeira Garcia Jiu-Jitsu Academy helps them achieve their goals through personalized training and support. Brazilian Jiu-Jitsu Black Belts Rodrigo Teixeira and Sammy Garcia are the reason the Teixeira Garcia Jiu-Jitsu Academy has the strong structure that it has come to be known for. They teach Brazilian Jiu-Jitsu and other martial arts in a way that combines the most effective use of the physical and mental abilities of their students. Through patience and training, students learn defenses and attacks that allow them to adapt their own personal abilities, while at the same time pushing enough to see growth in their skills. Sammy Garcia heads the Teixeira Garcia Jiu-Jitsu Academy in West Covina; he is known for his welcoming, user-friendly teaching style. Students create relationships with Sammy Garcia and his staff; with time Sammy Garcia and his staff become support structures and mentors for students. "…even though everyone was exhausted and sweating profusely, they were all smiling, laughing, and obviously were enjoying the class." Building the Champion in You! Rodrigo Teixeira and Sammy Garcia want nothing more than for their students to reach their maximum potential; they believe in “Building the Champion in You!” They see everyone for who they are- full of potential and energy that can be developed into a champion within themselves. Under this ideal, the Teixeira Garcia Jiu-Jitsu Academy continues to grow as a family and as a group of incredibly talented practitioners. Interested in learning the self-defense arts of Brazilian Jiu-Jitsu (BJJ), No-Gi Jiu-Jitsu (Submission Grappling), Judo, Wrestling or Mixed Martial Arts (MMA) in the San Gabriel Valley? The Teixeira Garcia Jiu-Jitsu Academy welcomes all persons regardless of their level (from new beginners to seasoned professionals), physical health, age or gender. Please feel free contact the school and come in for a complimentary introduction class for yourself or for your loved ones- call us, send us a message or drop by and visit the Teixeira Garcia Jiu-Jitsu Academy today!